Bobby is a handsome 12 year old terrier who has suffered from stiffness and back pain most of his life. It all started when Bobby was just a small pup and was attacked by a group of larger dogs. Amazingly this hasn’t stopped him doing all the things that he loves until very recently. His flare ups started occurring more frequently and his quality of life was visibly deteriorating. 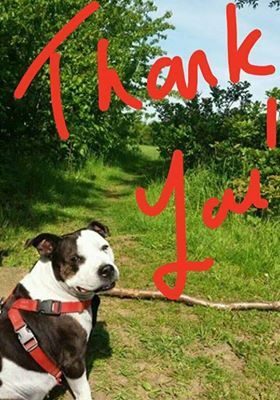 When Bobby’s owner came to us she was at the end of her tether. Bobby was withdrawn, in pain and struggling to walk. He was eating and drinking less than usual and unable to sleep at night. Bobby’s owner had been nursing him through the night and the worry and sleep deprivation was affecting them both. When we first assessed Bobby, we realised that he wasn’t going to be a quick fix. He had spinal pain with muscle spasm and was becoming dehydrated through not drinking enough. He was a very sweet little dog with very clear ‘white coat’ fear. We immediately did blood tests to rule out any underlying conditions and started him on multimodal pain relief. We also arranged for him to have myotherapy, a form of massage to relieve soft tissue and joint pain. It was important to spend time discussing ways to improve Bobby’s food intake and hydration, as well as possible lifestyle changes that might help him in the longer term. Unfortunately Bobby was not the only one who was worried about seeing a vet. 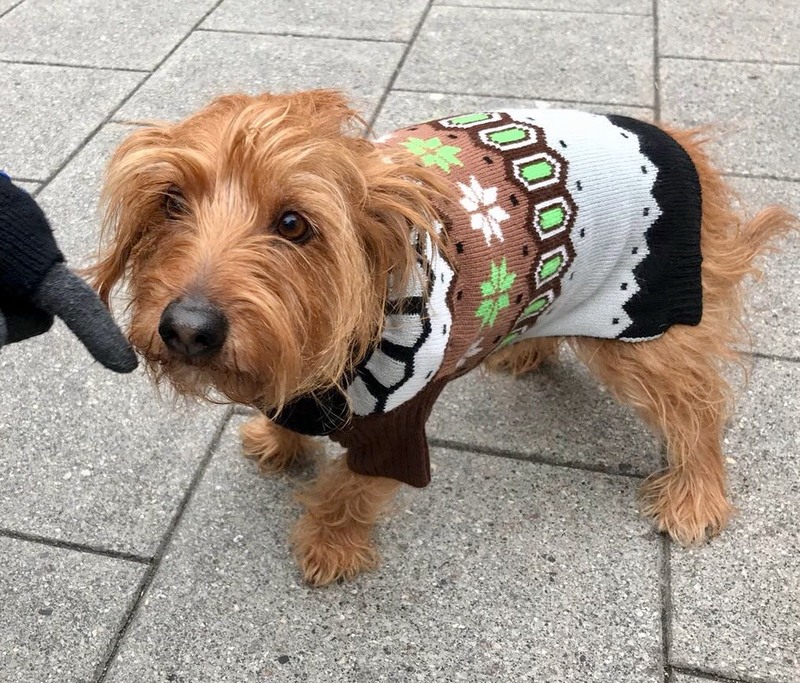 Bobby’s owner has severe anxiety issues and despite being registered for free treatment at the PDSA, she felt unable to physically enter a veterinary practice. After many conversations and time spent with Bobby and his owner, we eventually gained their trust. 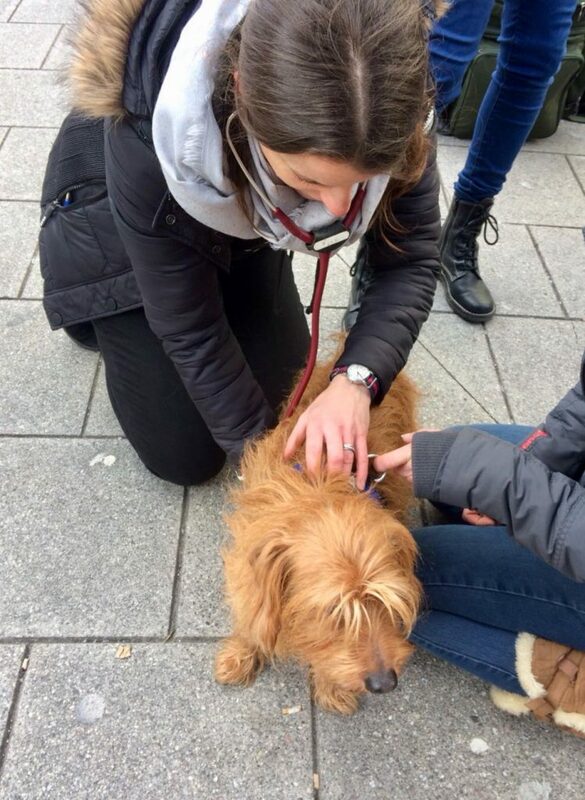 She agreed to allow us to start liaisons and arrange for Bobby to go to the PDSA for an anaesthetic and spinal xrays. The day of the xrays came and it was a stressful and emotional time for Bobby’s owner. Everyone was incredibly supportive and understanding which made the experience much easier for them both. Bobby had never been separated from his owner before and she found this particularly frightening. Thankfully everything went to plan and Bobby’s xrays showed signs of arthritis but were otherwise unremarkable. His symptoms by now were improving and he was adapting to his new lifestyle. Two months later we caught up with Bobby’s owner who was more animated, more confident and obviously managing to sleep again. She describes how he is “unrecognisable, the old Bobby again!”. They have a new daily routine of a gentle stroll through the park twice a day, no ball games but plenty of fresh air and sunshine. He continues to take pain relief medications on a daily basis and his owner has learned to massage him daily which he enjoys every evening before bed. Bobby’s owner is over the moon to see her happy, waggy and loyal sidekick enjoying life again.